Dairy farm diversification, Archer’s Ice Cream, has gone from strength to strength since its beginnings in 2004. As the family’s third generation move towards the helm, Hannah Park visits Darlington to find out more. An eye for securing the future sustainability of their dairy farm is one of the reasons driving the Archer family’s diversification success. 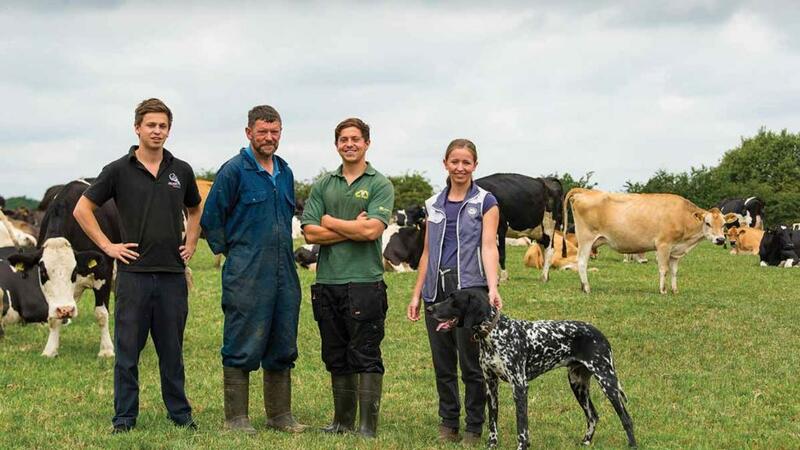 New Moor Farm has been home to three generations of the Archer family since 1976, where the farm’s dairy herd has been managed in conjunction with Archer’s Ice Cream since it was established at the site 14 years ago. Family is very much central to its success and a five-strong team operates within it, each with their own responsibilities within the business. All three of the farm’s third generation have studied at university, with the plan always being to return home. Tim, 27, and Jess, 26, who both completed agricultural degrees at Newcastle and SAC Edinburgh universities respectively, now undertake the running of the farm with their father, John. Having recently graduated from Leeds University with a hospitality leadership and management degree, brother Charlie, 23, is the most recent addition to the team working alongside their mother, Sue, to run the ice cream business. Although Archer’s Ice Cream was established in 2004 with the 280-head herd made up of Jersey cows, the family decided to reduce breed numbers by half in 2011. The purchase of 150 Friesians followed shortly after, to bring in more genetic variety and increase production volume. 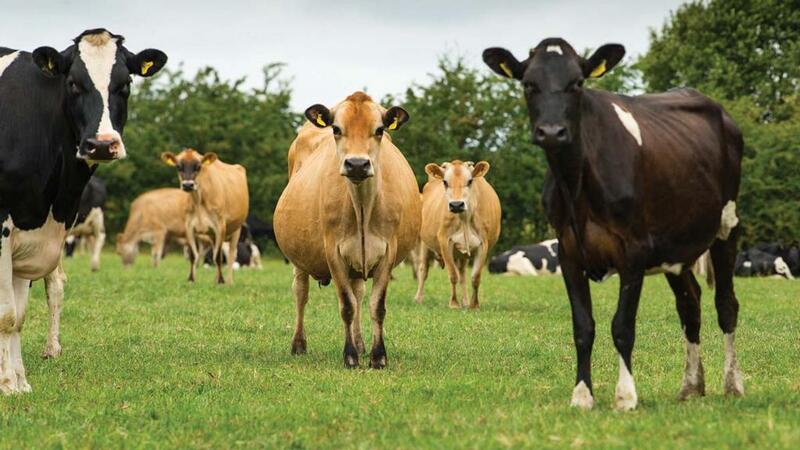 At present, ice cream production requires 40,000 litres per year, which is less than five per cent of the dairy herd’s total annual production; the rest is sold to Lanchester Dairies, County Durham. All the ice cream is made using Jersey milk only, which is milked into a separate tank from the Friesians and crossbreds. “The Jerseys produce a lot of high quality milk and the Friesians have added volume to that quality which suits our milk contract well,” adds Tim. “We decided to merge the two herds and run everything together in 2013.
complement each other well, so we began cross breeding when the herds merged, all via AI. Pasture management and maximising output from grass is a key part of the farm’s system and the herd utilises almost all of the farm’s 131ha (350 acres) for grazing. Last winter, the milking herd were housed for 60 days, coming in on December 1, and turned out in mid-January this year onto a rotational grazing system over 135ha (324 acres), moving paddocks after every milking. “The herd will complete their first rotation during the time from turnout day to early April,” says Tim. “Afterwards, this becomes a 21-day rotation around smaller paddocks once grass growth and quality is improved, meaning growth rates and recovery rates are quicker. A focus on output from grass has meant emphasis has been put on reducing the amount of land in arable rotations, re-seeding this back into grassland and has meant little re-seeding on the grass platform has taken place in recent years. “We record grass each year so any grassland re-seeing we do is done on performance, rather than as a matter of principle. Any mixes we plant are focussed on high yielding species,” he adds. Next year will be the farm’s first on a spring block calving system, which saw the majority of the herd AI’d from May until the end of June and three stock bulls, two Hereford and an Aberdeen-Angus, used as sweeper bulls and on the heifers which are served to calve at 24 months. “With the grass-based system we run, we think it offers the opportunity to completely maximise milk from forage on a spring system,” Tim adds. Cows are milked through a recently installed 16/16 parlour, with an average annual yield of 5,000 litres per cow at five per cent protein and 3.8 per cent butterfat. “These figures suit our system well and we will continue to aim for the 5,000-litre average as we concentrate on upping cow numbers. If we can boost this through forage, we will, but we will not push concentrate input to lift it,” he adds. “For the farm business, one of our main challenges is continually developing and growing a profitable enterprise which is also comfortable to work in. 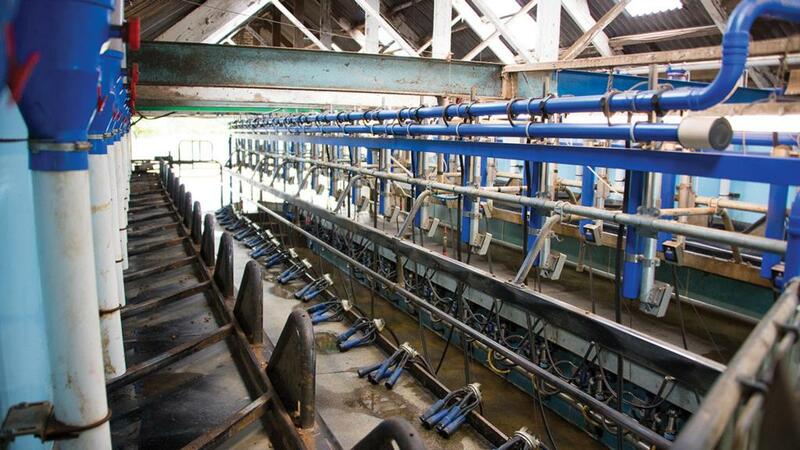 “The complex system we ran in the past meant the amount of hours put into keeping the cows fed, clean and milked was significantly higher than it is now for the same or less output value. The growth and expansion of Archer’s Ice Cream has been gradual since its beginnings in 2004, set-up with some investment from the farm’s income as well as grants available at the time. With turnover generally increasing two-fold year on year, its own profits were invested back into the business to allow it to grow from the original sole unit at New Moor to the three sits operated today. In its early days, the business consisted of a batch freezer, a pasteurising machine and a display freezer and was run out of the family kitchen by Sue, who used to make the ice cream here before transferring it across the farm yard for sale in the shop. The shop was formerly a converted car garage containing a counter with a handful of seats for customers but has since more than doubled in size to accommodate an ever-increasing customer base as demand for the product has increased. Today, the shop at New Moor can welcome more than 1,000 people through the door in a single day during a summer’s day in peak season. “We all take pride in how the place looks to keep it smart,” says Tim. “When you have that many eyes coming up the drive, it is really important to present a good image to the public and we like to be transparent with customers. Sue initially completed training with an equipment supplier offering support for new entrants and allowed her to initially produce, sell and market the product herself. But, as the business has grown, 15 full-time members of staff are now employed alongside additional part-time labour taken on during the busier summer period, all of whom generally live within a 30-mile radius of the farm. Sale and production is now spread across three sites, which include the original shop and parlour attached to New Moor Farm alongside another site for processing and sales at Richmond and a third, sales only unit in Redcar. 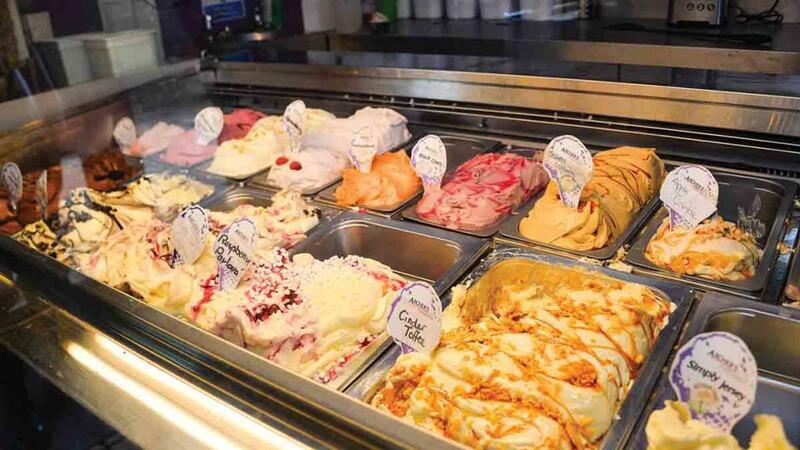 Ice cream products are sold through the family’s three shops, as well as supplying local restaurants and some trade sales with five-litre Napoli pans in a wide range of flavours. Raw materials and finished products are transported between sites via two freezer vans, operated by a full-time delivery driver. Sue and Charlie take on responsibility for new products and marketing and flavours are continually being developed. Sue regularly visits Italy and other destinations with a flavour house company to keep up to date with product developments and pick up new ideas, with Charlie focussing on costings and profit margins as well as developing a range of semi-freddo small cakes specifically for wholesale. The focus in recent years, Tim explains, has been to simplify processes to streamline production. “For years after it opened, turnover was doubling year-on-year but as this has become more consistent we are looking at ways to steadily grow and increase profitability rather than flat-out expansion. “We are happy with the direction the business is going in, but are looking to improve small margins to improve as a whole as a next phase. Working as a family is important to us. We have the occasional disagreement, but all have our own area to focus on so we are not treading on each other’s toes. “We are all working towards the same goal and have the same focus in-terms of the direction we want to go in and can pool our different ideas together to achieve this. “Charlie is currently looking to expand the social media side of the business as he realises the huge impact it can have. It is such a commitment to develop it to where we want it, but it is still a relatively new avenue for us and we have not really pushed it until now.